Success is measured in many ways. Monica Smith is a social worker, mother of two children, and has a master’s degree in social work from the University of St. Francis. But it’s not just her professional accomplishments that make her story notable. Smith is a homeowner. That might not seem like an accomplishment worthy of putting on the list, but becoming a homeowner was a long and challenging process for the Joliet resident. Smith, 31, grew up with very little, but was determined to create a better life for herself and her children, the oldest of which she had while in high school. While attending school and working low wage jobs to make a living, she found affordable housing at Evergreen Terrace apartments and through the Joliet Housing Authority. Along the way, Smith wanted to find a way out of poverty through education and using the resources available to her. While studying social work at St. Francis, Smith learned about programs used to help lift people out of poverty. That’s when she came across Habitat for Humanity of Will County and its partnership with the United Way of Will County. The program gives qualified residents a chance to become homeowners. However, it’s not a “freebee” she said, adding that she had to work for it. 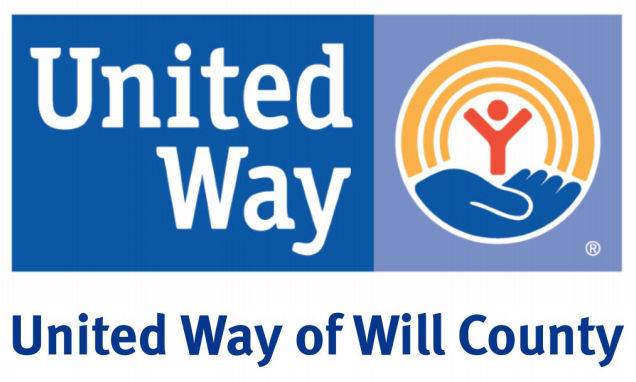 The program has been serving residents since 1992 and since then the United Way has allocated a total of $514,252 to Habitat. In the next year, the program is on track to assist 100 Will County residents, but not all of them will actually get a home. That’s because there are more applicants than available homes. Smith applied for the program in 2009 while she was still in college and had to go through a several month-long process, which organizers describe as “sweat equity.” That included volunteering at the ReStore, a home improvement and furniture outlet store for donated items run by Habitat. After 10 months, Smith was then enrolled in a 12-week course where she learned the financial logistics of owning a home. The volunteerism and classes gives those running the organization a chance to see if potential homeowners are committed and have a “vested interest” in it, Murray said. Smith had that vested interest. She even recruited her family members to help clean the ReStore warehouse, which impressed program organizers. At that point, Smith began to make payments, and in 2011, she was assigned an address. She was then expected to help work on her and fellow new homeowners’ houses, which she said taught her a lot about owning a home. “It was exciting and scary at the same time,” Smith said. She learned to fix things on her own, even turning to YouTube videos to learn how to fix things like clogged toilets. Now a homeowner, Smith wants to continue paying it forward. She shares her knowledge and experiences with her family, especially her two children, and with the students she interacts with as a social worker at Joliet Central High School. She knows that the help she received from the program gave her a new life. Now she wants to be a mentor to others who may need the extra help. She understands that others can be helped by her experience. “It gives them hope to say ‘If she came through it, then I can too,’ ” Smith said. 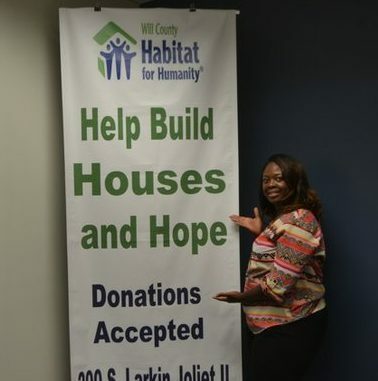 Will County Habitat for Humanity is always looking for new homes for residents in need. Anyone interested in donating a home or volunteering to help others earn, build and maintain a home of their own, can learn more at www.habitatwill.org. For more information about donating gently used household items to the ReStore, visit www.restorejoliet.org.